Highway Rider is an immersive motorcycle racing game by Battery Acid, which is available for both Android and iOS devices. 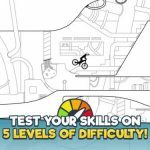 According to the game developer, “being daring and passing close to cars and trucks” is the only way for you to score more points and go faster on your bike. 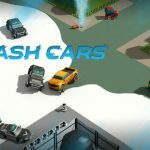 And as you’re picking up the pace, you’ll find yourself crashing into cars, and, believe it or not – collecting photos and videos of those crashes. 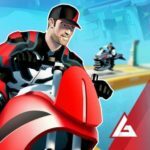 You can choose from seven different characters with their own bikes, increase your speed with boosts, customize your character and motorcycles, and complete a number of challenges. You can also get away from the law in Fugitive Mode, which is basically you on your bike, riding away from the cops. Now, if you’re looking to ride that bike faster and drive up your score, we have a quick Highway Rider strategy guide and cheats that can help you with that. 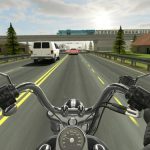 Highway Rider’s mechanics involve the concept of close calls – this is when you nearly get into an accident, but escape by the skin of your teeth. And when playing this game, you shouldn’t focus on having more close calls, but rather on making them more intense. How do you do this? All you have to do here is pass by those cars and trucks as close as possible. Look for messages on the display that will tell you how intense your close call was – “Perfect,” of course, is the best message you can possibly see. That’s worth five out of five gas cups. If you did solidly, you’ll get three or four gas cups, and if your close call was lacking in intensity, you’ll get one or two. The gas cups are more than just a rating system that tells you how intense your close calls were. You can use the gas cups you gather to unlock new characters or motorcycles, or to buy nitrous oxide boosts. So with that in mind, you’ll want to use those gas cups to buy the best possible items. The bikes available in the in-game store have their own distinct differences from each other, and better bikes, of course, cost more gas cups. One thing you can do without using gas cups is changing your bike’s color as well as certain aspects of your character’s appearance – this could be done in the game store free of charge. Nitrous oxide can propel your bike to some ungodly speeds for a brief duration of time, but you’ll want to go easy on the nitro, which you can earn “by scoring.” Sure, it’s fun to live vicariously through your fast-biking character and turn on the nitro for the heck of it, but it isn’t necessary either. Furthermore, your bike becomes harder to control as it moves faster. Nitrous oxide should only be used in crucial situations, particularly if you’re moving in a straight line with no obstacles in sight.